It starts with the push of a button or the click of a mouse. A DeKalb County resident is casually browsing the internet or utilizing a website for research. Little do they know, however, that every keystroke, click and search is being closely monitored by someone on the opposite side of the globe. Before they know it, their identity has been copied, packaged and sold to the highest bidder. Unfortunately, this is the current state of the online world. Fortunately, a new course available to DeKalb County School District (DCSD) students is training tomorrow’s cyber security workforce. 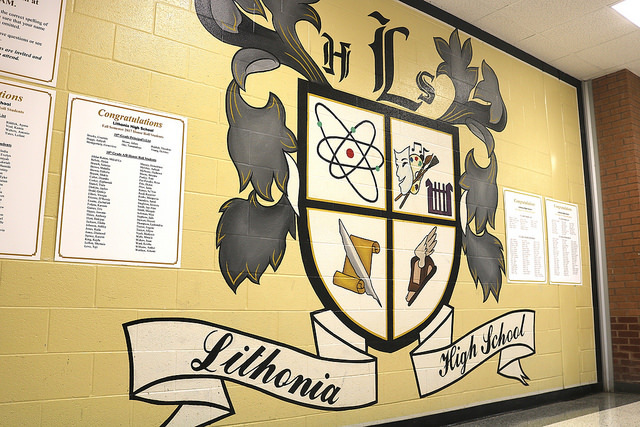 As part of DCSD’s Career Technical & Agriculture Education (CTAE) program, students at Lithonia High School now have the option to enroll in Cyber Security—a class focused on eradicating malware, learning the habits of hackers, and building hardware with security as its top priority. Lithonia High senior Steven Salinas Castellon said he enrolled in Cyber Security because he has his own concerns about online safety. He said that so far, he has learned about Malware, hacking and code writing. “As technology advances, people get smarter each day. I want to find ways to have my social security and bank account information stored and safe,” Castellon said. 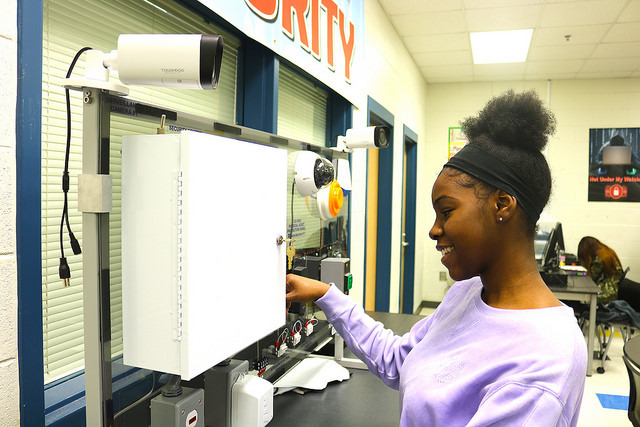 Lithonia High junior Kassandra Benjamin said she was inspired to take the Cyber Security course by her older brother, who told her about the field’s growing importance. She said she feels like she has a head start on the class because of her brother’s tutelage. Lithonia junior Kermitt Brown said he enrolled in the class because it suits his hands-on learning style. He also said he enjoys working as part of a team to solve problems. Lithonia High School CTAE department chair and teacher Tashina White says the new course introduces students to cyber security terminology, explains how to be better protected online, and provides a synopsis on how networks work. “If students have an interest in computers in general, this type of course will pique their interest and give them a sense of how computers work and how we’re vulnerable to various threats without even knowing it,” White said. Like students in DCSD’s other CTAE programs, students take three courses on a particular track. After completing three courses dedicated to a particular discipline—such as culinary arts, computer technology or auto-mechanics—students have an opportunity to receive industry certification. Students on this particular track begin with an introduction to digital technology, move on to introduction to cyber security, and finish with an advanced course heavily focused on certification. White said students who complete the Cyber Security courseload earn certification in CompTIA Security+, which is recognized by government agencies as well as Fortune 500 companies. She said she chose to invest an interest and teach this track after researching market trends. Studying cyber security, White said, elevates students to a higher way of thinking. Instead of reciting facts and rehashing statistics, students are forced to analyze, use the critical thinking process, work as a team, and use trial and error to find various solutions to several problems. According to DCSD CTAE Director Delmas Watkins, the program was developed this school year due to a growing need from the computer industry. Students on this particular track begin with an introduction to digital technology, move on to introduction to cyber security, and finish with an advanced course heavily focused on certification. Watkins said only four other school districts in the state of Georgia offer this particular career pathway. He said professionals from this particular industry are seeking students who are forced to investigate, pay attention to detail, find solutions and think critically. Watkins said the Cyber Securty course will hopefully expand to Chamblee Charter High and Cross Keys High by the beginning of the 2018-19 school year. His goal is to have a Cyber Security course at every DCSD high school soon after, complete with in-classroom lessons from industry professionals.